11 Your choice of floor covering: e.g. PVC, linoleum, rubber, textile. To create cavities for installation and communication cables and climate regulation systems in offices, data centres and server rooms. 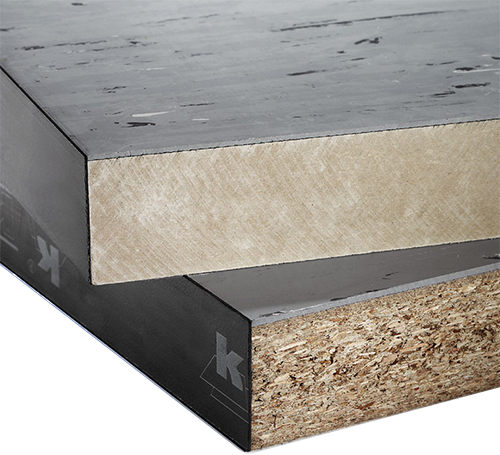 The multi-layered, high-density chipboard or mineral fibre floor panels are stencil milled in our factory to fit seamlessly together. The floor panels’ cut edges are protected with plastic edge trims (except for panels cut on site). The floor panels are manufactured to satisfy individual load-bearing requirements. 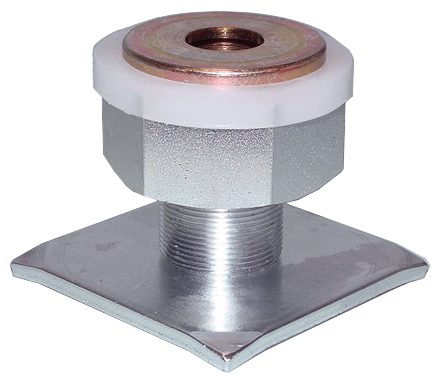 Depending on the area of application, the undersides of the floor panels are lined with aluminium sheet or galvanised sheet steel. Any commercially available PVC, linoleum, rubber or textile floor covering that is suitable for raised floors can be used to cover the floor panels. A wide range of colours and patterns is available. 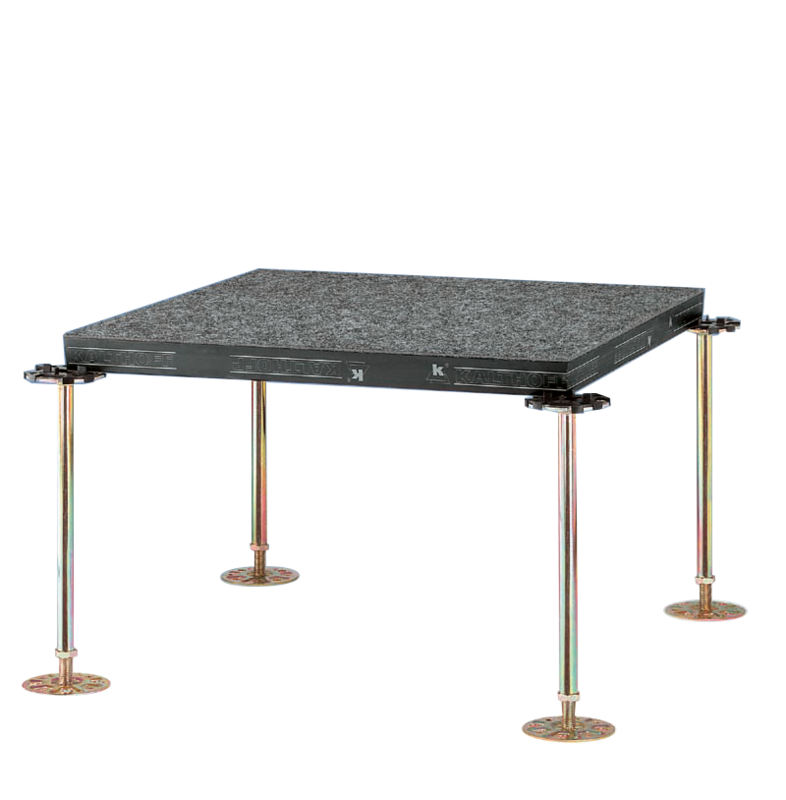 The floor panels are installed on a substructure of hot-dip galvanised, tubular steel pedestals which are anchored or glued to the subfloor. 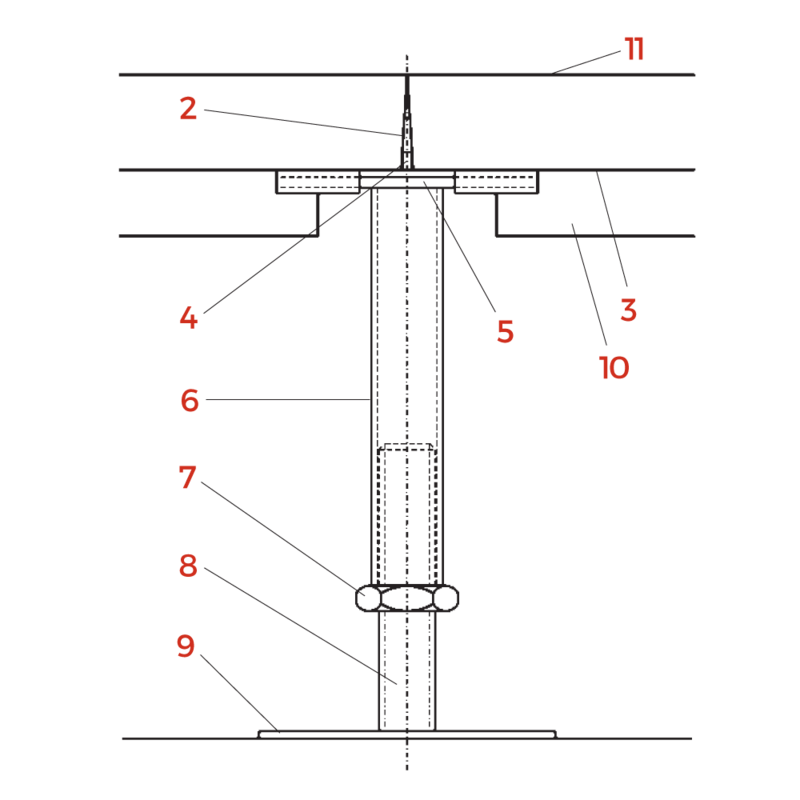 The pedestals are infinitely height-adjusted thanks to their adjustable threads. The floor panels are installed so that their corners rest on the gaskets. 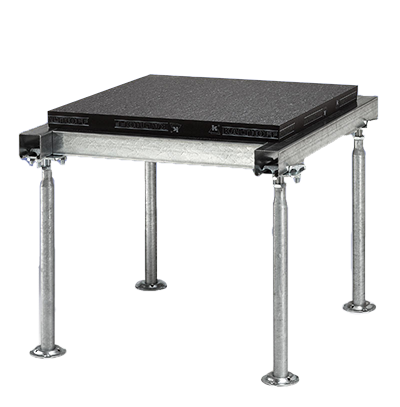 For higher load-bearing requirements, the pedestals can be mounted on stringers. 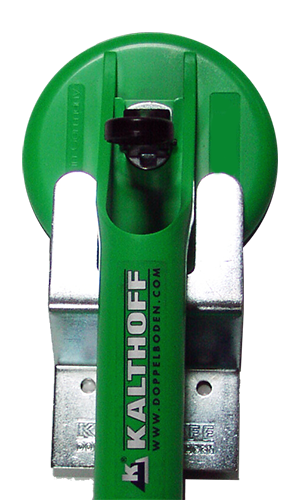 For inspection or retrofitting, the floor panels and the stringers can be removed. 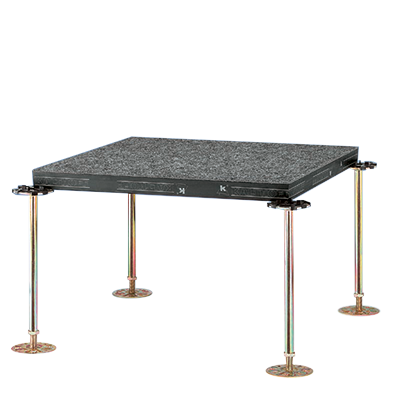 The pedestals are equipped with a conductive sound insulation layer to dissipate electrostatic charges.